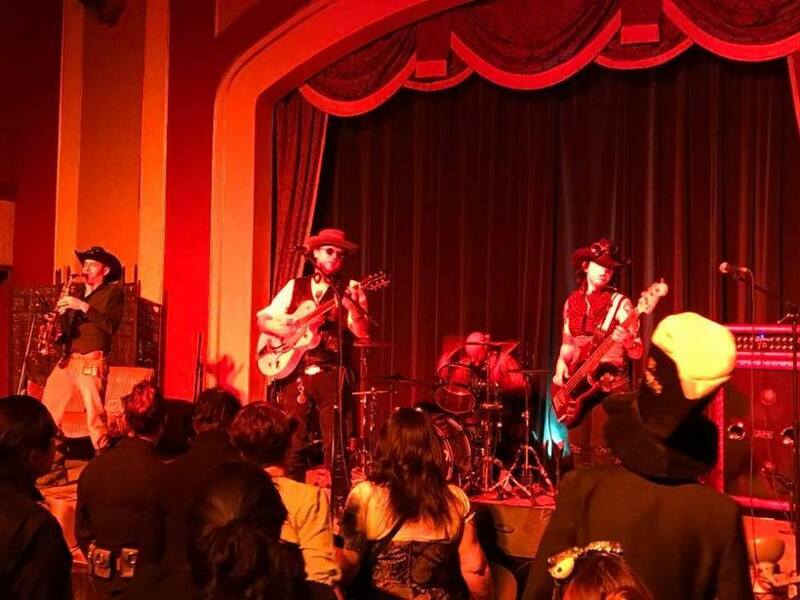 April 20, 2019 Rialto Theatre, Tucson AZ DÍA DE LAS LUCHAS Live music performance by The Mission Creeps. Luchadors/Wrestlers scheduled to appear: Rockstar Champion EJ Sparks, Lucha Libre Champion Lord Drako, Estrella Veloz, Red Miracle, Alexander Hammerstone, The Prophet. 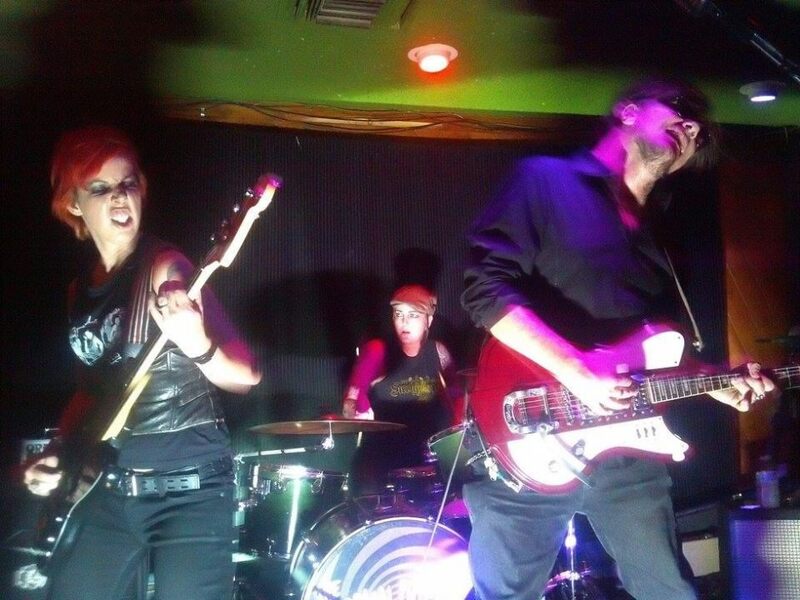 The Mission Creeps hail from Tucson. The Mission Creeps spin tales of a different, darker kind of desert, one of lonesome highways and ghost stories. 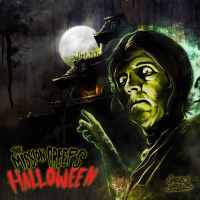 Inspired by art and film noir and horror movies, The Mission Creeps play dark psychedelia and take their cues from bands following similar inspirations, such as The Cramps, The Black Angels, Screamin Jay Hawkins, Joy Division, and The Sonics. Rue Morgue Magazine described their sound as awash in surf guitar and noted singer James Arr’s ability, much like Nick Cave, to switch between seductive narrative and a raving yelp. Supported by the throbbing rhythms of bassist Miss Frankie Stein and drummer George Palenzuela, a scary good time can always be had at their shows. 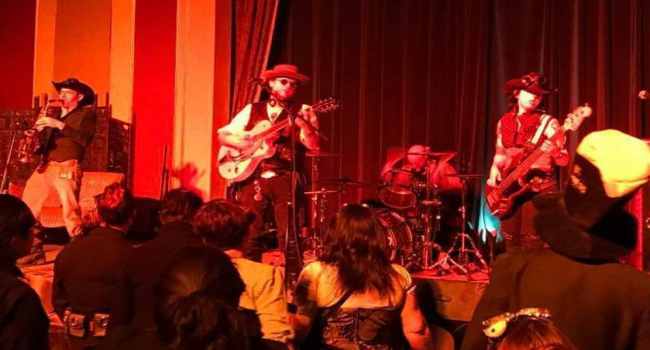 With six releases, they continue to offer up musical tales populated with witches, killer gnomes, and parties for the undead while providing beats that keep the body moving and the demons at bay. 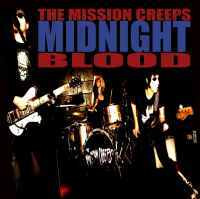 Nine Inch Nails used to be my favorite band but The Mission Creeps creeped past them. 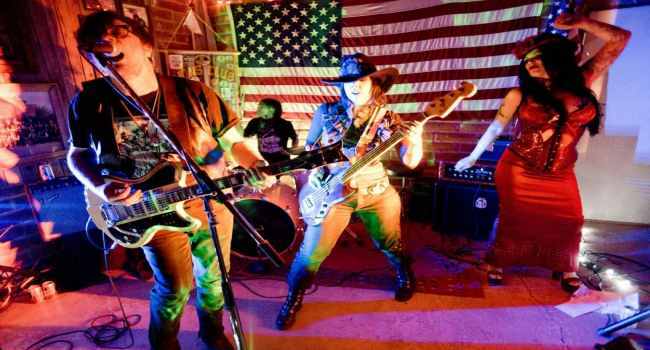 Combine surf rock, punk, and the Doors, topping it off with an eerie dosage of Ennio Morricone-inspired gunfight licks that fit seamlessly into the band's tales of desert-highway depravity. It's an open door to some orgasmic music, music that was made in the way Tarantino makes movies, millions of ideas put together reminding us of what we love in music. 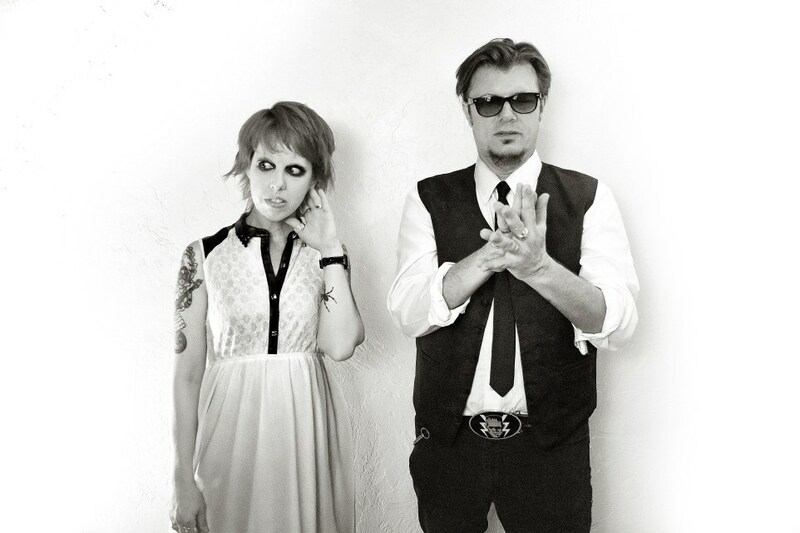 Rooted in Bauhaus, Smiths and Sisters of Mercy; feels like being in the edgiest record store of 1986, say New York Dolls after a Ritalin-fueled all-nighter locked up with Siouxsie albums. 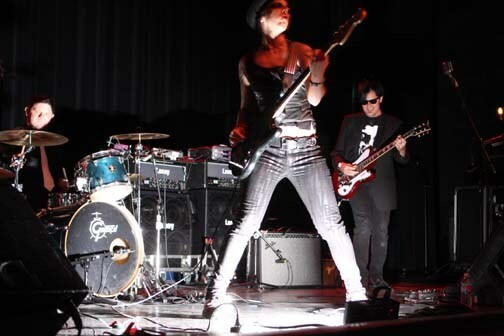 A throwback to the dangerous edge of The Stooges and the serrated humour of The Cramps, adding theremin and mellotron to their gothic garage for atmosphere to spare. 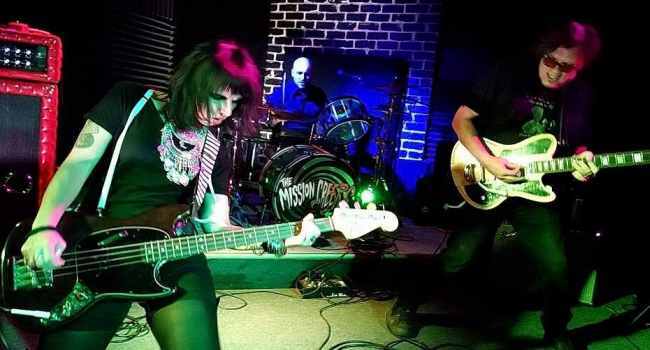 The Mission Creeps love playing festivals and are always open for more! Contact the Mission Creeps for Booking and all other Inquiries!